Russia's GDP would have been 1.5 percent higher if sanctions had not been imposed against Moscow, former Russian Finance Minister and Committee of Civil Initiatives Chairman Alexei Kudrin has said, pointing out that no positive effect from the sanctions has been seen in any industry. "The sanctions have considerably complicated the situation in the country. The GDP is 1.5% lower that it would have been without them. The devaluation which took place is partially caused by the oil and partially by sanctions," Kudrin told reporters on Nov. 21. In several industries with due account of the devaluation they would have been helpful, but still "the results are lacking or are in an embryo state," he said. "According to the estimates of the military, some import substitution has already been conducted in the weapons production. But I do not see this, this is not reflected in the economic figures. 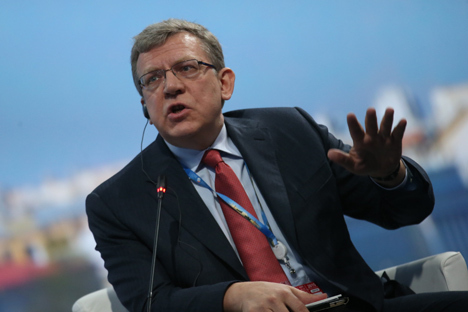 In other industries this does not happen, even in agriculture," Kudrin said. In agriculture the lack of development is caused by other reasons, including the difficult access to credits and the regulation of the sphere, but the positive effect from sanctions is presently not seen in any sphere, the former minister said. Kudrin also said that the current economic situation in Russia is worse than that during the 2008-2009 crisis, and the measures the government is taking to improve it are insufficient. "The Russian economy is seeing a hard year, and unlike the 2008-2009 crises, the people's real incomes have been declining for the first time since the early 2000s," Kudrin said at a civil forum in Moscow on Saturday. "The measures the government is taking to support the economy and the people are insufficient, in my view," Kudrin added.